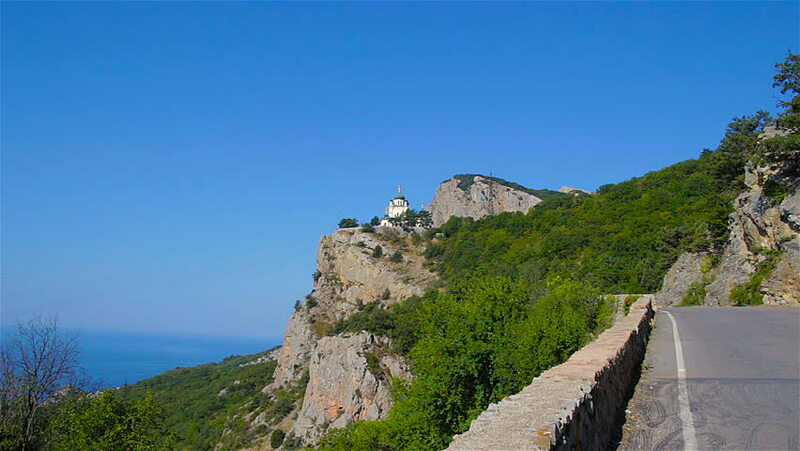 Crimea . Foros. Church of the Resurrection of Christ. Historic building. Crimean mountains . Red Cliff. Clear sky . 4k00:10Timelapse, cloudscape in Doi Pha Ngom, Khun Chae National Park, Wiang Pa Pao district of Chiang Rai Province Thailand. 4k00:09Movement of clouds against a blue sky over a mountain. hd00:13Time Lapse. The movement of clouds in the spring in the mountains of the Crimea peninsula. hd00:15Timelapse of carpatian mountains and sky, famous place "Dovbush rocks"